Being always up-to-date with the season's fashion trends can be very costly, so we have to invest on clothing pieces that are classic and versatile. Impress for less - I'm pretty sure we can do that! 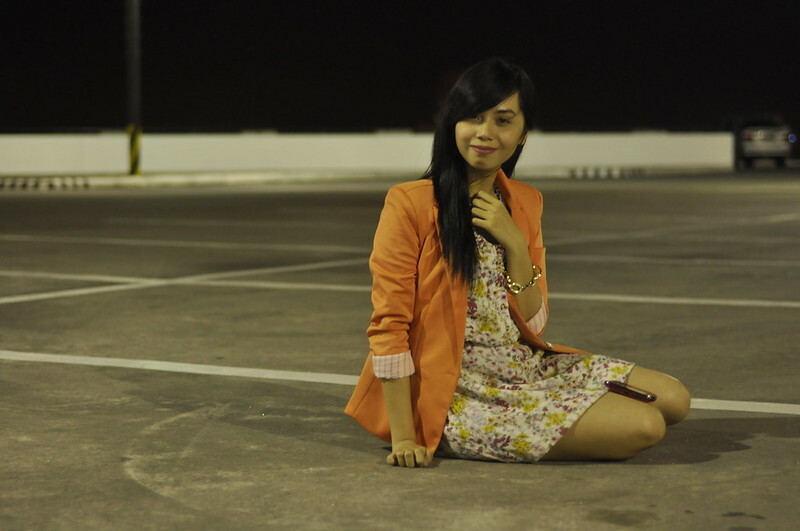 :) Today, you'll see me wearing my Romwe blazer for the third (and probably the last) time. You might get bored to see me with it again, but I assure you, it can still go well with other outfits. 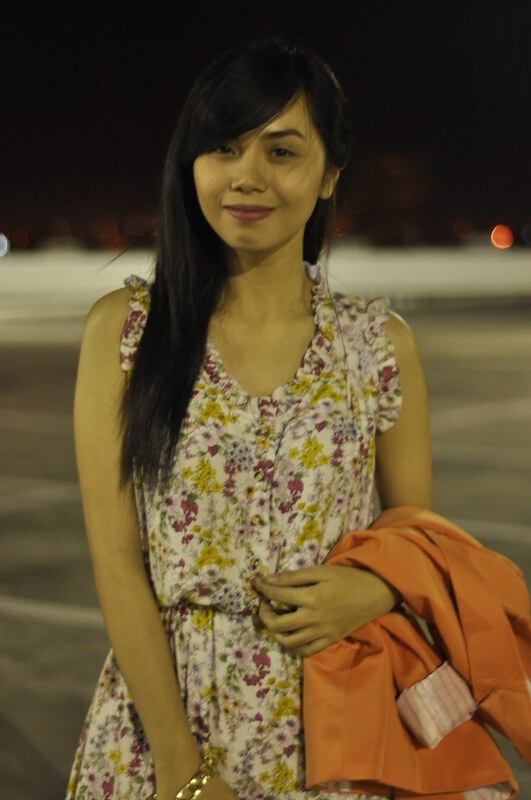 In all fairness, best in exposure lang si blazer in my blog! Yan ang sulit! First, I went for a casual but still stylish look and second naman was both dainty and edgy. This time, I wore it with a dress and I came up with an ensemble that's appropriate for a lunch out, dinner date or quick meeting. How I wish I was able to shoot this outfit in broad daylight. :( My friends and I stayed inside the National Library the entire day, researching and trying our best to accomplish a lot of things for our thesis. Apparently, I only remembered to take outfit shots before having dinner with Mom. Ack! I think it's okay to repeat clothes as long as you carry them differently in every outfit. 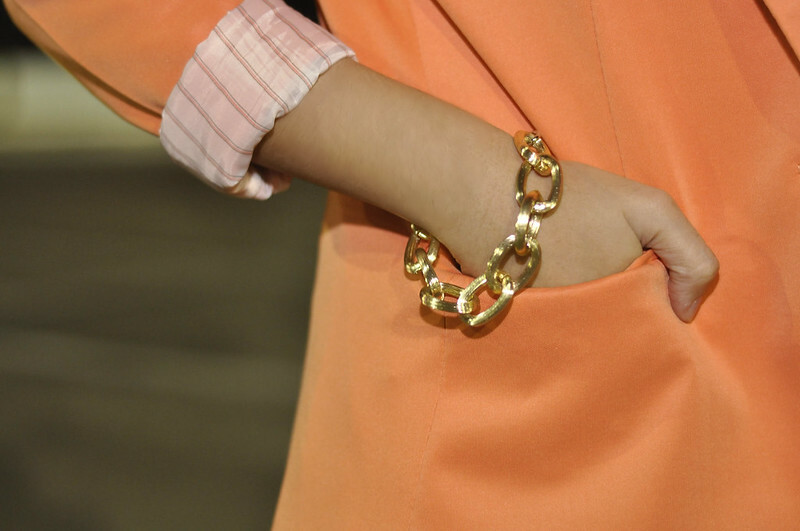 sweet and preppy. I like it! @Gellie, awww :"> Kilig! Maraming salamat, Gel! Really appreciate your sweet comments! @Frances, absolutely right! :) Yay thank you for the compliment, dear! Means a lot! i love that orange blazer, goes well with so many different looks :)) i think it fits best with the flowery dress because it brightens up the dress which has more subtle colors.